When visiting Indianapolis, the best way to get there is to fly on an affordable, luxurious private charter flight from one of Bolt Jets’ fleet. We are renowned for providing a superb on-board experience that is both stylish and comfortable. Bolt Jets has access to over 1,200 private jets so there’s something for every Indianapolis trip, whether for business or leisure purposes. It’s no surprise that we are the USA’s leading private charter flight firm and our jets can fly from any point in the world which makes using us, extremely convenient. With extensive knowledge in private aviation, we can tailor any flight and guarantee excellence in all that we do. So whether a private charter flight is needed for an urgent business meeting, a relaxing weekend for two or for a fun bachelor party – leave it to Bolt Jets, we make flying an exceptional event. Our concierge team is also there to help and with access 24 hours a day, 7 days a week and 365 days a year they’re an invaluable resource, often helping with the finer details for business and leisure trips to Indianapolis. That’s the level of premium quality service Bolt Jets provides. Indianapolis, the capital of Indiana is an explorer’s paradise. 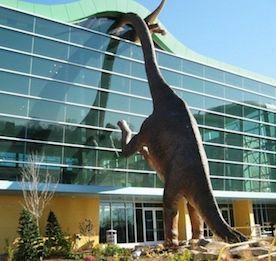 It’s also home of the world’s largest children’s museum and boasts the historic Indianapolis Motor Speedway which is home to the Indianapolis Hall of Fame Museum. This museum is dedicated to automobiles and auto racing with a huge collection of vehicles and automobile memorabilia. 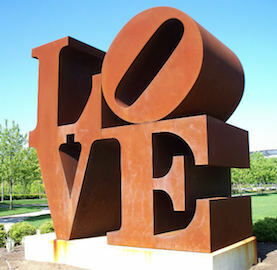 For art lovers, don’t miss the Indianapolis Museum or Art which houses over 54,000 exhibits from all over the world. See Gaugin and JMW Turner to name a couple of famous artists. For those who like to walk, stroll through the White River State Park. There’s the city’s zoo, plenty of shopping and in the evening, why not take in a show at the theater? Do visit the Lockerbie Square Historic District which is listed on the National Register of Historic Places and boasts Italianate and Queen Anne style architecture. When walking through the area, visitors can enjoy exploring 25 historic residences that were built between 1855 and 1930. One of the most famous buildings is the James Whitcomb Riley Museum Home; the famous poet lived there for 23 years. The Space Quest planetarium is another fun day out and great for young visitors. It features astronomy based shows, simulated space flights and light displays. There are also exhibits detailing the night sky and plenty of free daily shows. Don’t miss out on Indianapolis’ shopping, from local malls to independent boutiques there are plenty of places to find something to treasure. Go to Circle Center for one of the biggest shopping centers and it has a large food court for taking a well-earned break. The Fashion Mall at Keystone Crossing has a large number of well-known designer names as well as high street favorites and Clay Terrace is great for shopping outdoors, although it does have an indoor mall as well. Home to more than 70 retailers – it’s a shoppers’ paradise. Another way to see Indianapolis is of course, from above. Bolt Jets provides unrivalled views of the area and seeing it as the sun goes down is truly awe-inspiring. 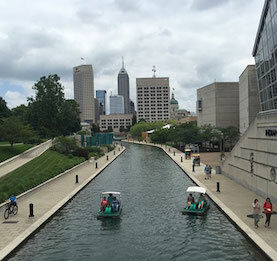 Indianapolis is lucky enough to have a wide variety of great restaurants to try, from fine dining to casual eateries and there’s something for everyone. Try Oakley’s Bistro which serves freshly ingredients and the dishes are simply delicious. Choose from dishes such as white bean artichoke hummus, artichoke spinach parfait or lobster truffles – all beautifully served too. Locally Grown Gardens serves what it sounds like, local, fresh, home-grown produce and every menu is based on seasonal varieties. There are also plenty of stunning colorful flowers and plants decorating the dining area. Each menu dish is well-explained, and the flavors are incredible. Thai lovers will adore Siam Square, a haven of aromatic dishes with dizzying spices. The seafood and fish based menu is sublime and accompanied by great tasting rice or noodle dishes. Try the catfish curry; it’s a firm favorite among the locals. For Italian – head to Mama Carolla’s Old Italian Restaurant which serves great Italian family cooking all day long. Try ravioli, meatballs, rigatoni or puttanesca – all homemade and it’s no surprise that this restaurant is the winner of many awards and accolades. Speak to our dedicated concierges team to arrange for dinning options from your choice of any Indianapolis restaurant during your charter flight out of Indianapolis. Bolt Jets guaranties a high quality flight experience on-board any of our private charter flights or helicopter hires to and from Indianapolis. Our noteworthy concierge team strive to deliver a superior service to all of our clients and can help with any business or leisure trip. Just at the end of the phone, they’re there for all our clients at any time. This is just one of the many services that set Bolt Jets apart from the competition. Planning a corporate trip to Indianapolis? Bolt Jets are the leading private charter flight company in the USA. We are used to tailoring the perfect private flight to Indianapolis and can even attend to the finer detail. Just ask our concierge team to organize onward bound journeys or where the best places are to stay in Indianapolis. There’s nothing they can’t help with and that’s why our clients return to us time and again, for exemplary customer service guaranteed. There are different airport options when chartering private jets to Indianapolis.